Hafiz – Sufi mystic and a 14th-century Persian poet. 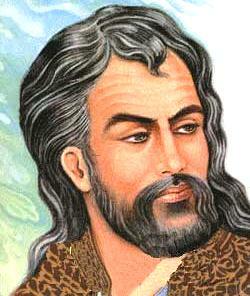 Also known as Khwajeh Shams al-Din Muhammad Hafez-e Shirazi, mystic and poet. Sometimes credited as “Hafiz” or “Hafiz of Shiraz”. Themes of his poetry include love, devotion, God, faith, hypocracy and a mystical view of life.